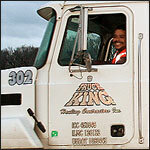 Truck King - Hauling Contractors, Inc.
TKHC Inc. 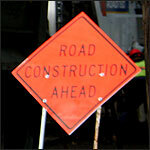 Serves a vast array of industry contractors. 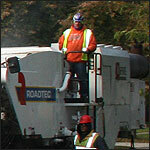 We have successfully worked on many projects both in the public and private sectors, including Midway and O'Hare Airports, all major Expressways and Tollways, Municipals and Townships, as well as City of Chicago MBE projects. 30 Semi-Dump Trucks with Stainless Steel Trailers equipped for Hot Asphalt and Wet Concrete, and proven Drivers with years of experience. 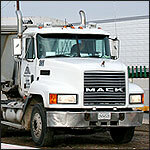 We invite you to contact us concerning your hauling needs. 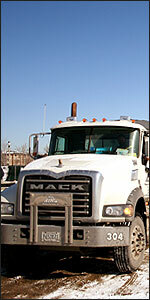 We will get the job done and earn your business and trust. See for Yourself why our customers are satisfied with our service. 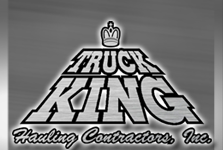 Copyright © 2012 Truck King Hauling Contractors Inc.